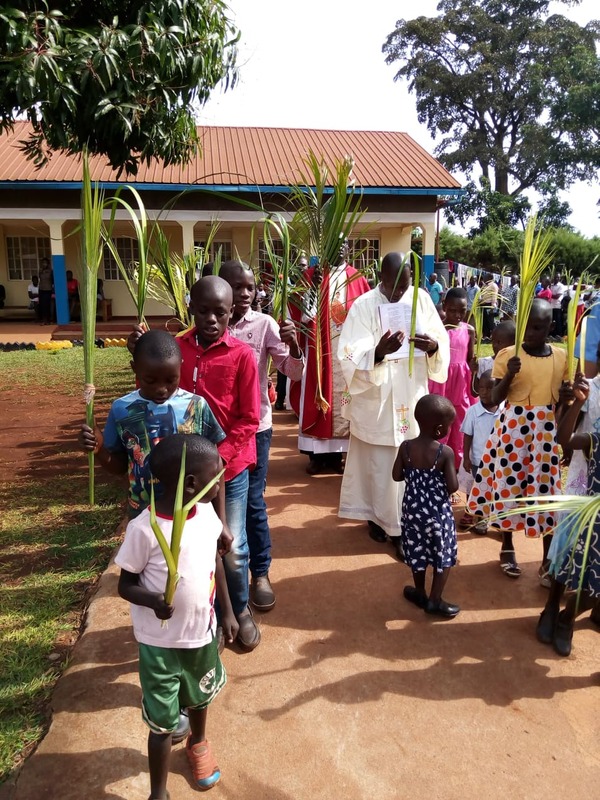 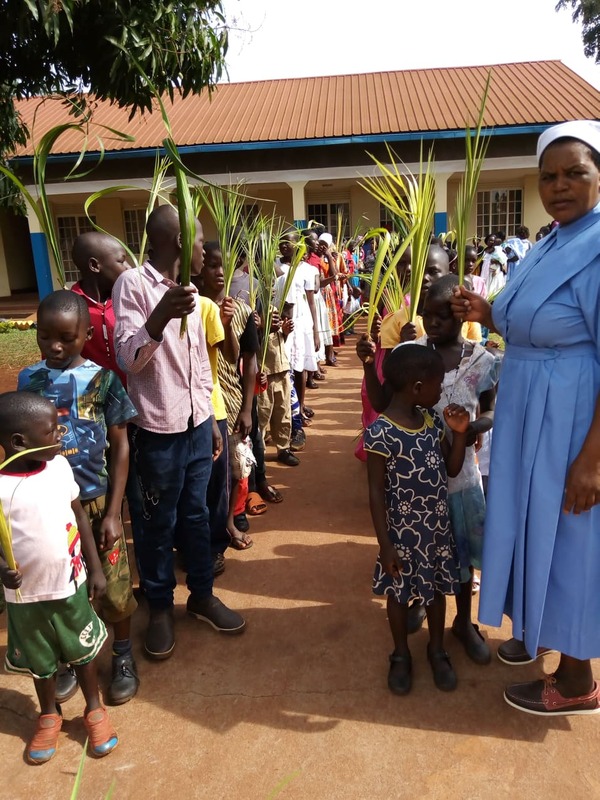 We wanted to share these precious pictures of members of the Children’s Rosary helping with a Palm Sunday Procession at St. Mary’s Parish in Jinja, Uganda. One of the things I love about the Children’s Rosary is seeing glimpses into the traditions and cultures of the different places where Children’s Rosary groups exist. Each group is beautiful and adds to the tapestry of prayer that extends across the globe. 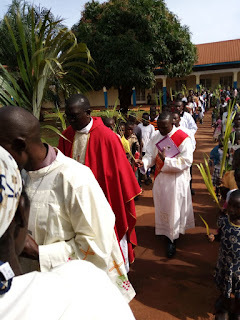 I particularly like this picture of the tiny child who has stepped out in front of the clergy leading the procession. 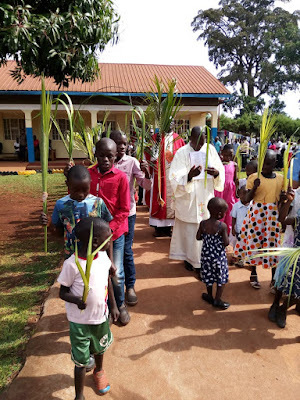 She appears to be going the wrong way but the priest or deacon dressed in white seems to be looking down with delight to see this little one coming to meet them.